As I mentioned yesterday in my post about reporting from Aisha Bakkar, where street clashes broke out Sunday, heres my story that ran in The Daily Star today. It was my first story of this kind (conflict reporting directly after the conflict) so it was a bit of a struggle to write, but I think it turned out alright and I’ve figured out what I can do in the future. Heres the main story on Aisha Bakkar by Nicholas Kimbrell that my story was the sider to. <UPDATE> 9:02 PM Beirut, Went by Aisha Bakkar on my way home from work. The whole area is still on lock down, but a little more relaxed, people and LAF wise. Although I did see a few checkpoints where LAF were stopping and searching cars and talking to people. I got assigned to write the sider for the Aisha Bakkar story in the paper tomorrow. So I spent all day traveling around the area and talking to people. Even if the fighting went into other neighborhoods like people reported, it was mostly concentrated in Aisha Bakka. The Lebanese Armed Forces presence there was incredible, small wheeled tanks, armored personnel carriers, jeeps and tons of soldiers with machine guns. They were stationed on every street corner for around a mile and long trains LAF would rotate through periodically. The situation in the neighborhood was intense. On one side of the main road was the Sunni neighborhood that suports the Future Movement and the other the Shia neighborhood. In the Sunni side, people were standing around, in groups obviously agitated, listening to older figures or talking among themselves. There were about 75 people just sitting and standing in the street, apparently talking about what to do. They were unperturbed by the continuous Police motorcycle that went through the neighborhood. I spoke to several people on the street and and they all said about the same thing. They were pissed off about the fighting and thought there would be retaliations for the killing of the woman (who was shot in the Sunni area). One store keeper I spoke to said he saw men with guns from both sides getting ready to fight at around noon. So I’m sure there is more to it than what appears. Either way the situation was tense on both sides of the road, and I think it will come down to how effectively the LAF can control the area and that further fighting doesn’t break out in other neighborhoods. Check for the story tomorrow and I’ll post it here as well. On Thursday I went on a press trip to North Lebanon with the delegation from the European Commission for a story for The Daily Star. We road around in black SUV’s with the Head of the EC Commission Patrick Laurent and stopped at community projects that the EC was funding through ESFD, an aid organization. We made stops at al-Mina a coastal town in Tripoli And then Mhammara, Majdala, Mar Touma, Deir Dallloum ,and Denbo in Akkar. 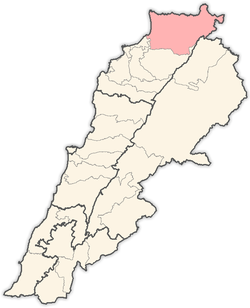 Akkar is one of the poorest areas in Lebanon and theres not much there besides trees shrubs and large hills/ small mountains. The most impressive part of the trip was seeing what looked like the whole town of Denbo (which was the poorest and most isolated town we visited) come out to cheer Patrick Laurent as he arrived to tour the area. I guess its not that surprising as the EU has funded millions of dollars of programs in the area. “The acute disparities in living conditions in Lebanon is causing social instability and insecurity. If we do not want to have the North of Lebanon specifically the Akkar area drop into fundamentalist extremities then we should deal with the situation from an economic basis. While its a bit of a stretch to point to Fatah al-Islam and Nahar al-Bared as the result of a lack of funding (because there are so many factors invovled because its a refugee camp), it should at least be considered. I didn’t fell like I could include a reference to the potential for instability in my story because it would be tackling too many topics. ” BEIRUT: Head of the Delegation of the European Commission Patrick Laurent visited northern Lebanon Thursday on a tour of community building programs the European Union funds in the area. He announced an additional 18 million euros of funding from the European Commission for the northern region at the end of the tour. Local mayors and dignitaries along with dozens of people gathered in cities like al-Mina near Tripoli and Majdala and Denbo in Akkar for a brief glimpse and short speech by the French diplomat. Laurent and his delegation from the European Commission visited a cultural center, water filtration plants and vocational schools in the terraced foothills of the Akkar. Besides being a publicity stunt to build support, Laurent’s visit to Akkar, one of the poorest areas in the nation, brought up issues of class disparity and the question of what role international aid plays in place of the Lebanese government. These issues have recently been the center of debate after a report of high levels of poverty in Akkar. The programs Laurent visited are all funded by the Economic and Social Fund for Development (ESFD), a mostly EU backed project aimed at poverty reduction. Laurent said the additional funding of 18 million euros provided by the EU would be used for the development of agriculture programs with local authorities in the north, but provided no further details. Over a hundred people came out to see the delegation in Denbo the last stop on the delegations trip and location of Laurent’s longest speech. Denbo was by far the largest gathering of all of the delegation’s stops and one of the poorest towns in Akkar. Town members played traditional music and showered the delegation with sweets and cheers when Laurent approached the town’s community center. “The European Commission will continue to support this movement and will make sure the voice of local communities is well heard,” said Laurent to the audience packed in a small gymnasium. “Reinforcing the state while strengthening local actors is the best way not only to build up a democratic state in Lebanon but to ensure a development process involving and benefiting to all citizens,” he said. These contributions from international organizations like the European Commission are crucial for the well being of cities and towns in the northern region. The contributions have also largely filled the void of the government in the poorer areas of Lebanon where the state building has not done much to provide for the people of northern Lebanon. Yes. I think the government after all, they put to law. the acute disparities in living conditions in Lebanon is causing social instability and insecurity. Of course. Because in my opinion what is more important than frequency of poverty in Lebanon, what more important than that is the intensity of poverty, it means the distance from the national average, the standard of living. And the farther you go from the national average the more you will likely get instabilities and fundamentalists.